Different legumes and pulses benefit any diet because they are high in protein and other nutrients that contribute to proper nutrition. When you are on a weight loss program, eating balanced meals is essential to achieve your goals. In Eastern cuisine, chickpeas and its varieties are widely in use and they are often included in several curry dishes. Chana dal is one of such varieties that provides good nutrition . Wash well and soak the Chana dal /Bengal gram dal in water overnight. and salt into a batter. Take out the batter in a mixing bowl, keep aside. Chop the coriander leaves into small pieces and add to the batter. Heat a nonstick pan/ griddle / tawa and grease it with little oil. and pour oil around it. 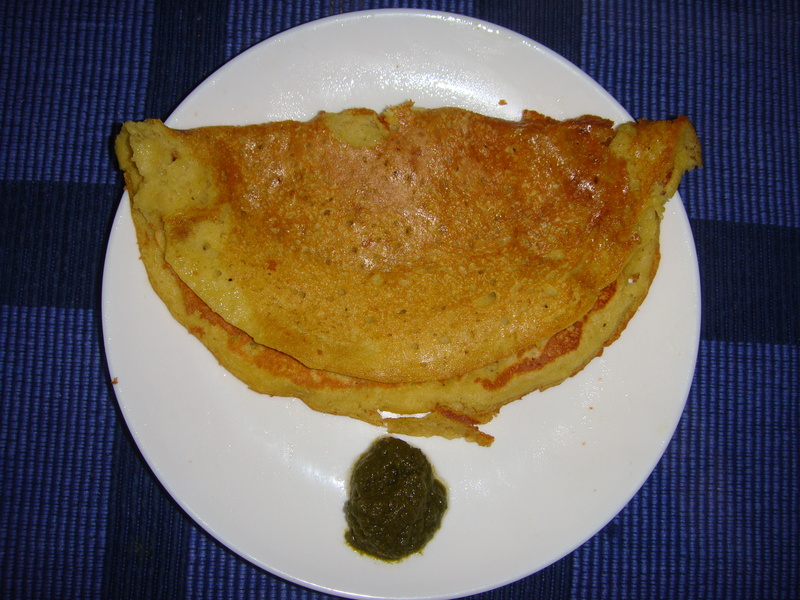 After the dosa is cooked on one side, flip it on the other side and cook on low medium flame. Cook on both the sides, using a little oil, till they turn golden brown in colour. Now remove the Chana dal dosa on a plate. Serve hot with coriander or mint chutney. This pulse is high in protein as well as dietary fiber that aids digestion and keeps you full for longer. Chana dal is high in fiber and help to lower cholesterol. Apart from having a great taste, it also has a very low glycemic index, which is important for those with diabetes. Chana dal can be a good food for people with diabetes because it has a low glycemic index. Chickpeas are a helpful source of zinc, folate, calcium and protein Chickpeas are low in fat and most of it is polyunsaturated.